Tune in to the Global DJ Broadcast World Tour, this month featuring a 2 hour set by resident mixologist Markus Schulz, recorded live from Pacha in New York City. After taking a brief sabbatical last month, the Global DJ Broadcast World Tour returns to the road in June, and touches down in the city that never sleeps - New York. For many, it is regarded as the greatest city in the world due to its history and culture, and the same ethics can be applied to the city's appreciation of dance music. In 2007, one of the biggest club brand names descended on Manhattan, and in less than a year has received several awards for best nightclub in New York. Pacha may be best known for its legendary Ibiza outlet, however the New York arm is making waves at a rapid rate. With all factors considered, it was an easy choice for Markus Schulz to make regarding his next GDJB world Tour destination. Playing at Pacha not only should be considered an achievement, it also presents an enormous challenge for the DJ, as New York is famed for having a very dedicated yet demanding clubbing audience. 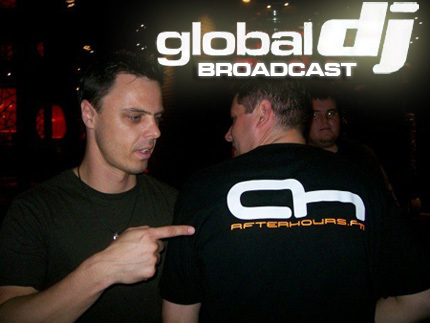 If you did not make it to the event, or if you want to relieve the night again, tune in to Global DJ Broadcast for the next World Tour episode, live from the Big Apple. Last edited by Vicky Wood; Jun 5th, 2008 at 08:20. Last edited by robiejaegs; Jun 5th, 2008 at 20:12.